Wonderful news! THE BEAUTIFUL MYSTERY's on the NYTimes list for a second week! We're now at #10. Yippee! Now that many of you have read it - I wonder... If you liked the book, would you mind letting others know? It makes such a difference to the life of a book. I know you're spreading the word, but I just thought I'd ask. Thank you! Writing/editing went well yesterday on Book 9. Long day. Started at 8am and finally was satisfied with the chapter at 5:30. Got up all creaky from the chair. But I'm happy. Phew. Hope you're enjoying the day! Most of you have been just so supportive of this book - but I have another favour to ask...when you post comments, or reviews....I wonder if you could try not to give too much away? I know sometimes it seems you're not, and I know you don't mean to, but if you can be careful I'd really appreciate it. We're in Montreal now, for the funeral tomorrow of our friend Ted Wilson. Lovely man, married to a wonderful and dynamic woman, also our good friend - Sandra. Sad time - but he was so loved and it's a chance to celebrate a terrific life. 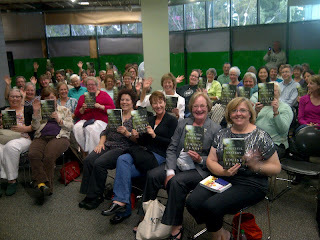 Here're the quite fuzzy 'villagers' at the final event of the tour! 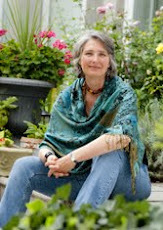 (not sure if the photo will show up - seem to be having difficulty with the upload - hope it works. If not, you can see it on the facebook page, if you do facebook) The event was in South Hadley, MA - organized by Odyssey bookstore...and held on the campus of Mount Holyoke University....gorgeous campus. I arrived early and went for a walk around the lake. 1 mile. Lots of lithe young students lapped me! But so beautiful and peaceful and VERY fun event. Great way to end an extraordinary, unforgettable tour and two weeks - thanks to you!!! Flew from Boston to Toronto this morning to sign some books, and am now at the airport to catch the flight to Montreal. full circle. I long to get home. Montreal tonight - then meeting with the film director for Still Life tomorrow morning - then home to sutton tomorrow afternoon. Michael, Trudy, friends, bed. Ahhh. I hope you agree, my friend. Our travels are almost over - thank you for your glorious, comforting, invigorating company. You're welcome along anytime!!! Number 2 on the Times List!!! Now in Atlanta....wonderful event last night at FoxTale books. 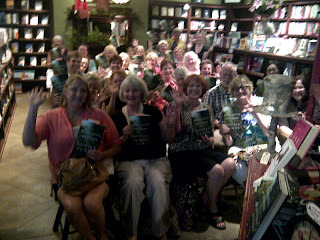 This is just part of the crowd....so fun to see you all there! Got the most amazing news last night!!! Andy martin, the publisher of Minotaur books called. He had Hope Dellon my editor, and Sarah Melnyk, the publicity manager at Minotaur in the office with him. 'You made it to number 2!'. I thought I'd mis-heard. I knew the New York times bestseller list was being sent - way before hand - to the publishers yesterday....so I was on pins and needles. Gnawing my nails. Literally. Last year we were all stunned that A TRICK OF THE LIGHT made it to number 4 on the list. Blew us away. I was beyond thrilled. It's number 2 - well....I screamed.. Poor Gail must have thought she was trapped in her car with a mad woman. And I was - insane with joy. Wow. Now, I have to say, this is the list that will appear the week of Sept 16th...so - not this weekend, but next. And I know this is because of you! Thank you, thank you, thank you!!! you've filled my heart with such happiness. Thank you for buying the books, and for telling so many others about it!!! this is definitely a team effort....Minotaur books and the amazing people there, and the really remarkable work, from the editing of Hope Dellon, to Andy's leadership and marketing, to the social media campaign of Jeanne-marie, Paul, Lauren - to David's amazing cover design....and Sarah, the wonderful Sarah Melnyk - who headed up the publicity and organized the tour, with Melissa's help. And, of course - My Assistant Lise. Thank you so much, Lise!!! And Michael - dear one. But finally, it comes down to you. We could do all sorts of great work, but if you didn't support the Gamache books, and keep him alive by spreading the word....well, not only would the series not exist - but this glorious day would not have happened. Now - off to New York City - and then driving to Madison, Connecticut for an event tonight at RJ Julia. and more celebrating! Arrived in Houston yesterday afternoon - beautiful city. And staying at another of my all-time favourite hotels - the Hotel ZaZa. Wonderful! And had an event last night at one of my all-time favourite bookstores, Murder by the Book. Here's a photo. a free event, but ticketed so that there'd be order to the signing. There were more than 180 people. Here's the view from where I stood. So wonderful. And I'm so deeply grateful for all your support of THE BEAUTIFUL MYSTERY. Thank you! Back home in Quebec, there was a big election yesterday and the sovereignist Parti Quebecois won and will form a minority government. This was expected - indeed, it looked like a majority government for a while (with three main parties, it sometimes comes down to a minority government, where the ruling party can be outvoted if the other two combine forces). It seems unlikely the separatist PQ will call a referendum to leave Canada anytime soon. Have to say, Quebec is rarely dull! Am now in Phoenix - flew in yesterday from San Francisco. 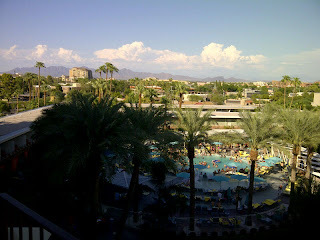 LOVE Phoenix - staying at the Valley Ho - one of my favorite hotels in the world....and the name only makes it better! Here's the view from my hotel room. Pool packed with beautiful young people. I stayed as far away as possible. Lots of loud music and laughter and dancing...I think it might have been a party. But fun to watch....and it ended by 6pm - and after that, peace a quiet...so best of both worlds. Desperately hot here....but I think this is normal for Phoenix at this time of year. 107. Felt great! 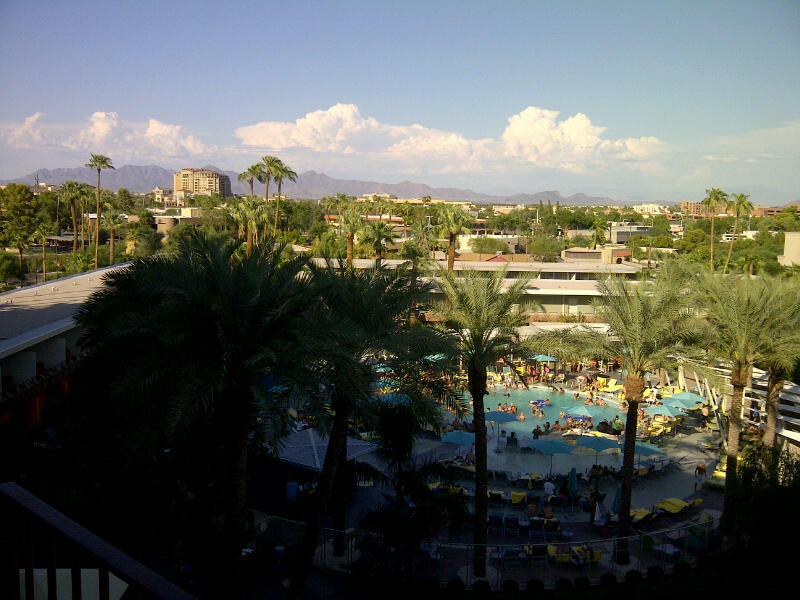 This morning I'm relaxing on the balcony - marveling at the beauty of the red mountains and the palm trees. What a splendid life. Yesterday I stared out at the Pacific, and felt that thrill of seeing something magnificent. And now again. What's also fun is knowing that before the week is out I'll be looking at the Atlantic. But mostly, what I long to see, and want to see, is you. To thank you for all your support of THE BEAUTIFUL MYSTERY. For reading it, telling me how you feel - knowing how very difficult it was to write. For telling all sorts of other people about the books. So wonderful to be able to thank you!! 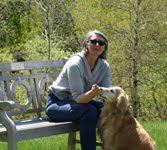 I'll be at the great bookstore, Poisoned Pen, in Scottsdale, at 5 tonight, with the remarkable Barbara Peters. Hope to see you there! San Francisco....unseasonably cool. Yesterday it hit about 65. Warmer today, I understanding. Event last night at Book Passage in Corte Madera was wonderful! About 200 people (seating for 180, but it was SRO). 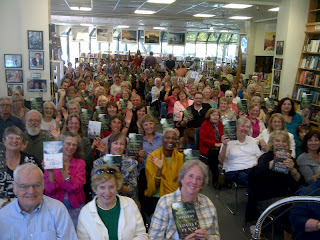 The bookstore people were wonderful - and of course, thank you to those of you who came out! I so enjoyed the event. It was also very fun driving over the Golden Gate Bridge - though as someone not fond of heights, my heart thudded, especially when the car stopped in heavy traffic and we inched along. Ugh. But I did manage a few peeks! 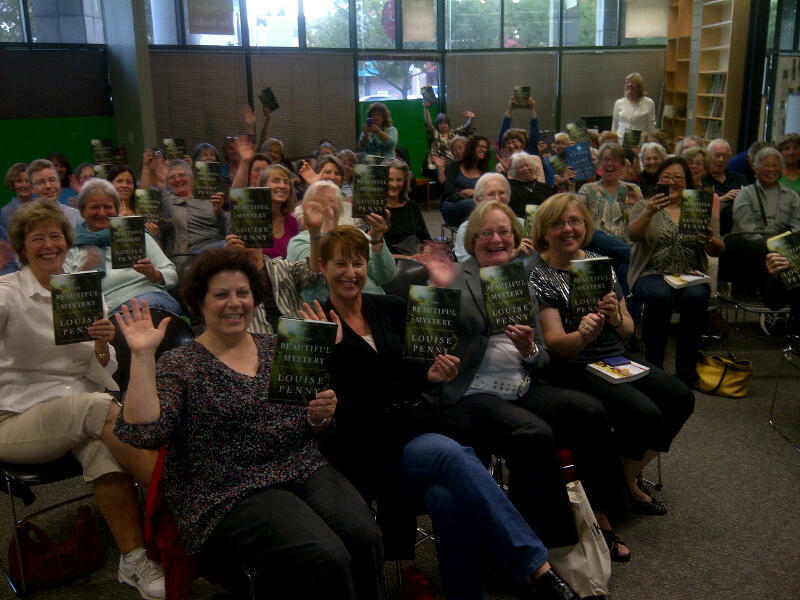 Flying to Phoenix today(if fog lifts) - event tomorrow 5pm at Poisoned Pen in Scottsdale. How're you holding up??? This tour has been hard work, but so much fun....the reward and treat for all those months and months working alone. Then working with my great editors and publishers....with the publicists Sarah....and now this! Thank you for telling others about the books too! You're very fun to travel with. San Francisco now! Loving it. Had a strange experience with the hotel....so looking forward to it but when I arrived it was like that scene from Pretty Woman, where Julia roberts goes into the high end boutique and is treated like...well...you know. Shown a terrible, dark room to start. Only on complaining did a much nicer room show up. Not a great feeling - I've stayed in lots of budget hotels, who make me feel precious and welcome, so I know the difference. But - the rest of the stay here in San Francisco has been great. Wonderful event last night in Menlo Park - at Keplers. Great independent bookstore in need of renovations - and they reached out to the community, who are helping raise money and really pulling together. 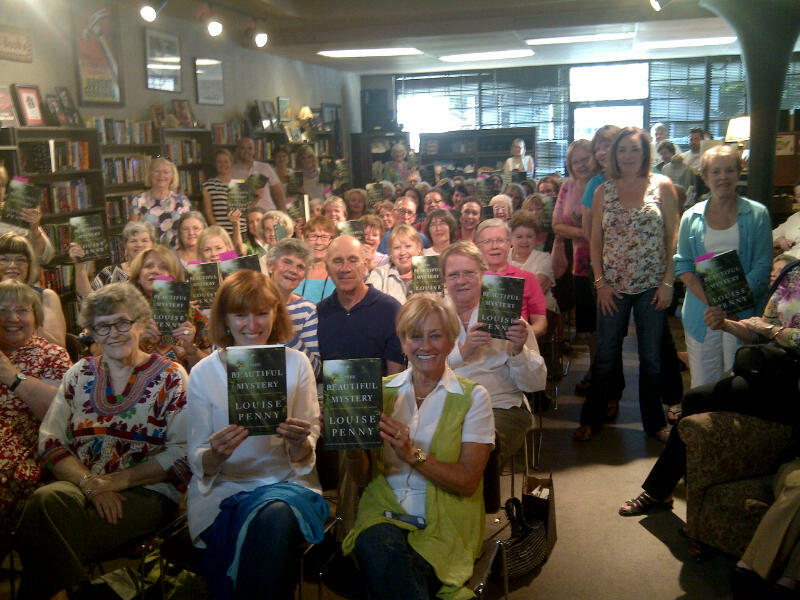 LOVING all the support and loyalty for these fabulous bookstores. Hope you're enjoying your long weekend. 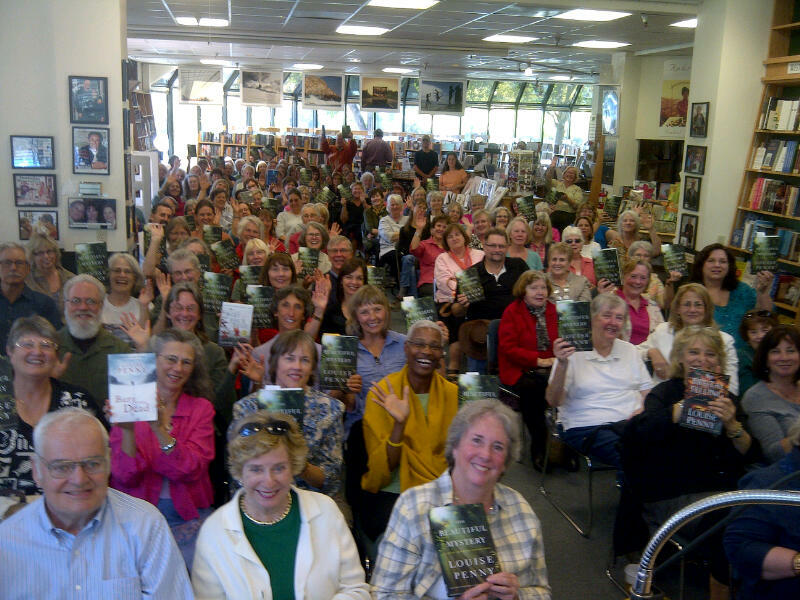 Have an event this afternoon at Book Passage, in Corte Madera.